Whether you’re a painter, sculptor or potter, make jewellery, prints, or anything in between, we want you! Wandsworth Artists’ Open House (WAOH) is looking for creatives willing to open their home or studio to the public and share their talent with the local community. Part of Wandsworth Council’s arts and culture programme, this event is the perfect opportunity to discover a network of fellow artists in your area. Each year around 12,000 visitors come to the borough to take a look behind normally closed doors, meet artists, and browse and buy art in a relaxed setting. Young with no money to spare but keen to show your work? 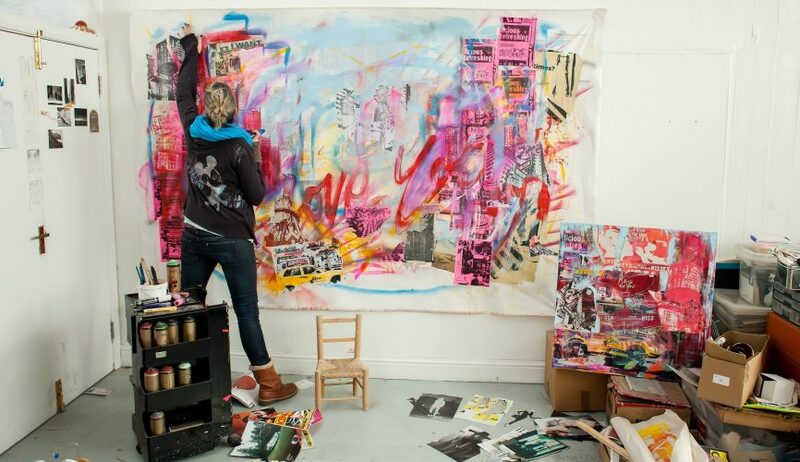 This year for the first time, the Royal College of Art teams up with Wandsworth Artists’ Open House to offer five bursaries to young artists and makers aged 16 to 25, including mentoring by one of their reputable specialists. For more information or to register to take part go to wandsworthart.com. You can also email arts@enablelc.org for more information, or come to our next WAOH Open Meeting, Monday 21 May, 6-8pm at Enable’s Conference Room, Staff Yard, Battersea Park. Please register your attendance with LGreci@enablelc.org. Wandsworth Artists’ Open House is coordinated by Enable Arts team, part of Enable Leisure and Culture, on behalf of Wandsworth Council. The event is run in partnership with local artists.